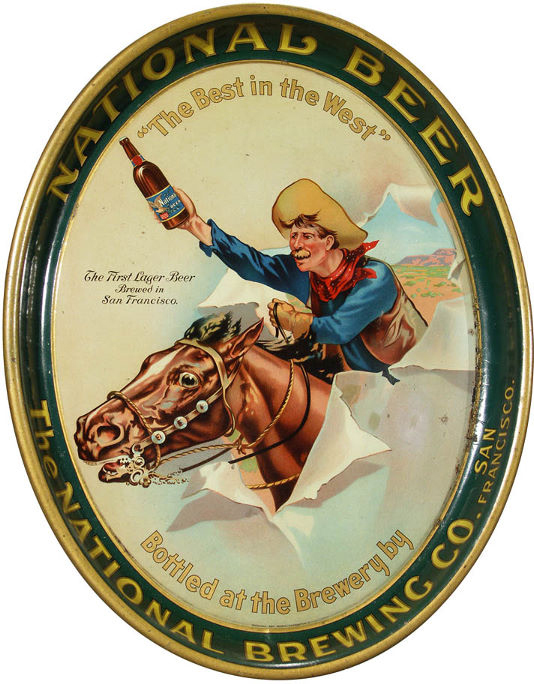 Serving Tray for National Beer from The National Brewing Company out of San Francisco. Text at top states “The First Lager Beer Brewed in San Francisco. Showing in the center a cowboy riding a horse coming out of the trays picture.